You may wonder how useful a degree is to a hugely successful rock star, but look a bit closer and the connections become a little clearer. Here we have a look at some famous bands that met at university, and suggest how the musicians’ educational backgrounds may have helped their careers. Jim Morrison and Ray Manzarek met while at UCLA Film School in Los Angeles. Morrison wasn’t particularly interested in finishing his degree, but apparently stuck with it to avoid being drafted into the Vietnam War. After a chance encounter on Venice Beach in 1965, the year that Morrison graduated, Morrison and Manzarek decided that their skills (poetry and keyboard respectively) complemented each other perfectly… and The Doors was formed. The band’s ride on a storm of phenomenal success can be attributed in part to Morrison and Manzarek’s background in film studies. They produced some of the band’s earliest music videos, including ‘Break on Through’ and ‘People are Strange’. In 1963, Roger Waters, Nick Mason and Richard Wright all met at Regent St Polytechnic, London (now the University of Westminster), where they studied architecture. They formed a band that changed name many times before it became Pink Floyd in 1965, and they used the tearoom in the basement of the college as a rehearsal space. Waters, the main creative voice in the band (after Syd Barrett left), said in a 1987 interview that he got kicked out of the polytechnic after two years for refusing to attend lectures, but the training probably helped him to “visualize [his] feelings of alienation from rock 'n' roll audiences… which was the starting point for The Wall”. This remains one of the best-selling albums of all time. Farookh Bulsara, AKA Freddie Mercury, was studying art and design at the Ealing College of Art in the late 60s when he met fellow student Tim Staffel, the bass player for a band called Smile. 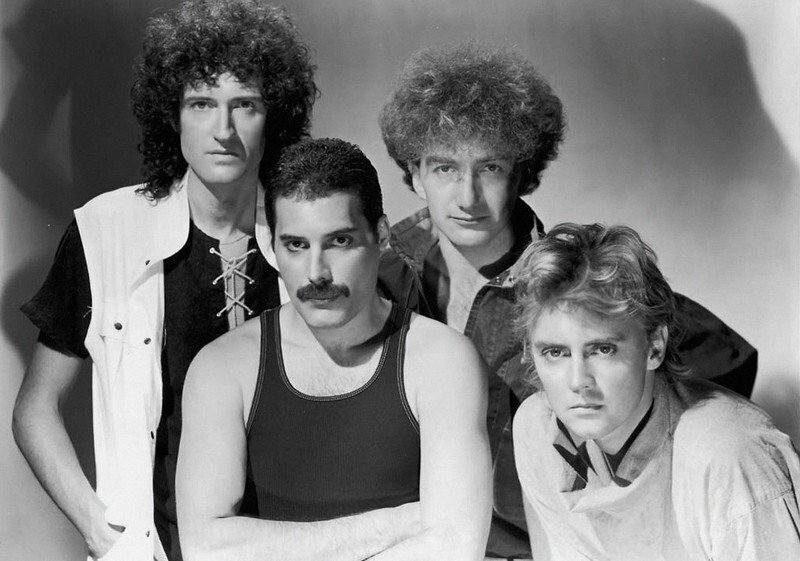 The band’s founding members, guitarist Brian May and drummer Roger Taylor, were also both students when they met Mercury: May was working towards a PhD in Astrophysics at Imperial College London, and Taylor was studying dentistry at the London Hospital Medical College. Mercury joined as lead singer in 1970 and changed the band’s name to Queen. He later put his design background to good use in designing the band’s iconic logo: the queen crest with a phoenix on top, representing immortality. 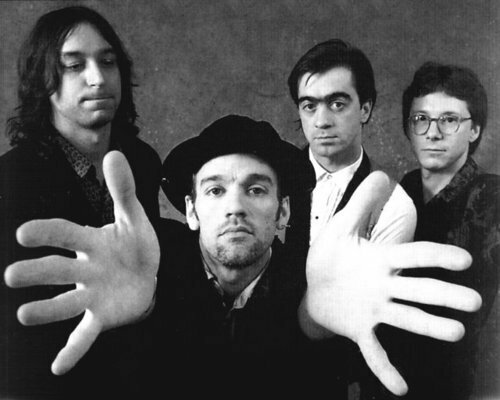 All the members of R.E.M. met at the University of Georgia in 1980, going on to form a band that achieved international fame following the release of the album Out of Time (1991), which includes the single ‘Losing my Religion’. Vocalist Michael Stipe studied art and photography, but didn’t finish his degree, choosing instead to concentrate on making music. But he’s always been involved with the art world, choosing to collaborate with artists and filmmakers to produce music videos, such as the 1991 Grammy award-winning video for ‘Losing my Religion’. And the band’s final album, Collapse into Now (2011), features collaborative music videos for all the songs. The vocalist (Black Francis, AKA Charles Michael Kitteridge Thompson IV) and guitarist (Joey Santiago) of the hugely influential indie band The Pixies met at the University of Massachusetts, Amherst in 1983. Francis studied anthropology and Santiago studied economics, but both dropped out – Santiago apparently at Francis’ instigation. They shared a room at university where they started writing songs together, and in 1986 formed The Pixies. Black mocks the university experience in the song ‘U-Mass’: “Oh baby/University of Massachusetts, please/and here's the last five/it's educational/it's educational/it's educational/it's educational/it's educational.” But of course, without it, he wouldn’t have written the song – and it’s off the album Trompe le Monde (1991), which peaked at 7 in the UK album charts. Know of any other famous bands that met at university? Add to the list in the comments below. Jane Playdon is a TopUniversities.com author and blogger. In 1975, the single "Pick Up the Pieces” reached No. 1 on the US Billboard Hot 100 chart and sold over one million copies. Average White Band has continued recording and touring since but these days, only Gorrie and McIntyre are original members of the band. Average White Band were formed in 1972 by Dundee locals, Alan Gorrie, and Malcolm "Molly" Duncan, with Onnie McIntyre, Michael Rosen, Roger Ball, and Robbie McIntosh completing the original line-up. Both Duncan and Ball -- affectionately known as the Dundee Horns – were students at Duncan of Jordanstone College of Art & Design. When the band won a coveted spot backing Eric Clapton in 1973 they were well on the route to stardom. In 1975, the single "Pick Up the Pieces” reached No. 1 on the US Billboard Hot 100 chart and sold over one million copies. Average White Band has continued recording and touring since but these days, only Gorrie and McIntyre are original members of the band.